At US $6.99, a new Raspberry Pi competitor called Orange Pi Zero costs less than some sandwiches in New York City. The Orange Pi Zero can be used to make electronics or robots, or it can fill in as a file or media server. Such developer boards are also used to create and test industrial devices. The computer is a competitor to the minuscule Raspberry Pi Zero, a stripped down version of Raspberry Pi that sells for $5. But Orange Pi Zero has better hardware with a faster processor and Wi-Fi capabilities. Don't expect the tiny Orange Pi Zero to deliver booming performance or be a full-fledged PC replacement. If you're looking for a powerful board computer, consider buying the $35 Raspberry Pi 3 or $15 Pine64 board. 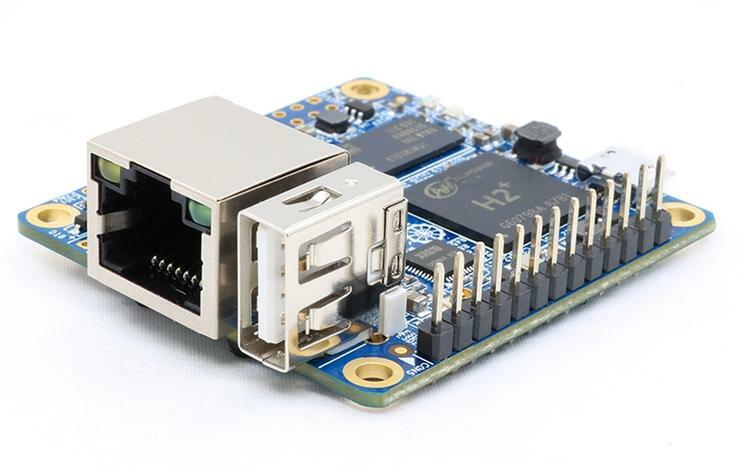 The Orange Pi Zero has a quad-core Allwinner ARM Cortex-A7 processor, which in recent years has been used to power low-end and mid-range smartphones and tablets. It also uses ARM's Mali 400 MP2 graphics processor, which is capable of processing high-definition video. Shenzhen Xunlong, the developer of the board, claims it can handle H.265 4K video, but the board isn't built for that. The Orange Pi Zero also doesn't have a display out port. The Zero includes an SD card slot and 256MB of memory. A model with 512MB of memory ships for $8.99. In addition, the Zero includes 802.11 b/g/n Wi-Fi and ethernet networking capabilities. It also has expansion slots and pins to attach other boards and a USB 2.0 host port. If you're looking to use the board to learn programming or test applications, software might be an issue. It supports Android, but only version 4.4. It also supports Debian and Ubuntu. The board is available on Alibaba's retail site for $10.30, including shipping. Tech enthusiasts and tinkerers are embracing a number of low-cost boards with x86 and ARM processors. The prices of processors, memory, and components are dropping, leading to inexpensive board options. Allwinner's CPUs, in particular, are among the cheapest available.